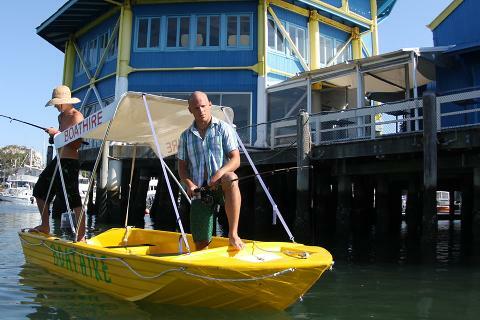 Our boats are all fitted with a shade canopy and are easy to operate. 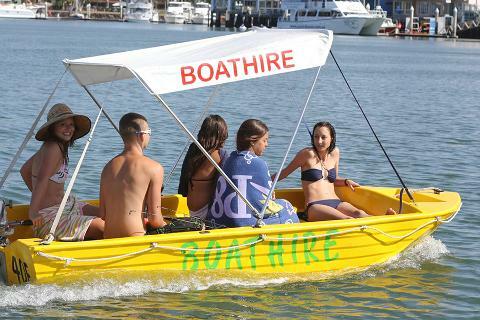 They can seat up to 4 persons for the perfect family day. 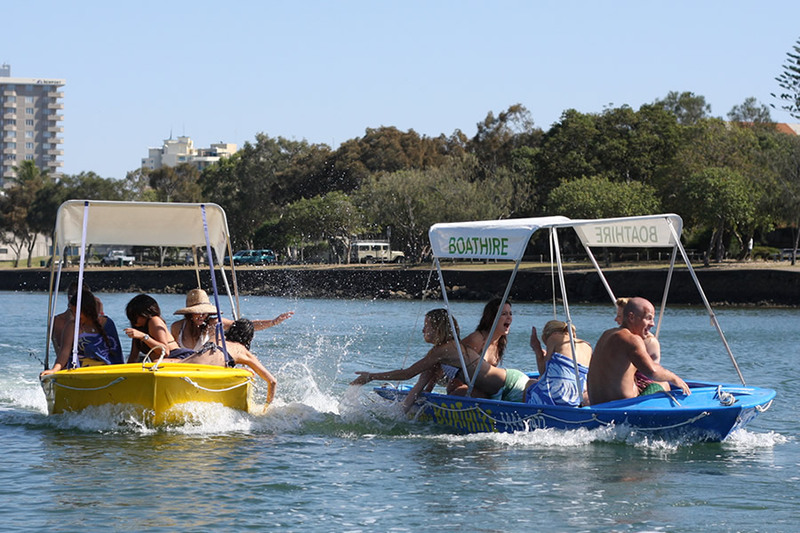 Whether it’s Sightseeing, Picnicking or Fishing our boat hire is perfect. While cruising around you can view the multimillion dollar water front properties and yachts not to mention Steve Irwin’s Croc One – Crikey! 0 (ZERO) ALCOHOL TOLERANCE LEVEL IS REQUIRED OF ALL PARTICIPANTS. NO ALCOHOL IS PERMITTED ON THE BOAT. SMOKING IS NOT PERMITTED IN THE BOATS. YOU ARE NOT PERMITTED TO CARRY MORE THAN THE AGREED AMOUNT OF PASSENGERS. THE OWNERS, MANAGEMENT AND STAFF OF “THE HIRE HUT” RESERVES THE RIGHT TO REFUSE, CANCEL OR STOP ANY HIRE AT ANY TIME WITHOUT A REFUND IF A PERSON DOES NOT ADHERE TO THESE RULES. OR IS NEGLIGENT, REMISS, NOT CONFIDENT OR A POTENTIAL DANGER TO THEMSELVES, OTHER PERSONS OR PROPERTY.